Left: Clara Clairman; centre: Heather Ferguson; right: Josipa Petrunic. During 2017-05-18 OEN Networking Luncheon. During 2017-01-31 OEN Networking Luncheon. During 2016-05-16 OEN Networking Luncheon. During 2013-10-29 OEN Networking Luncheon. 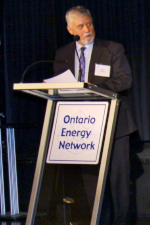 Next post Jim Sanders, President, Enbridge Gas Distribution Inc.